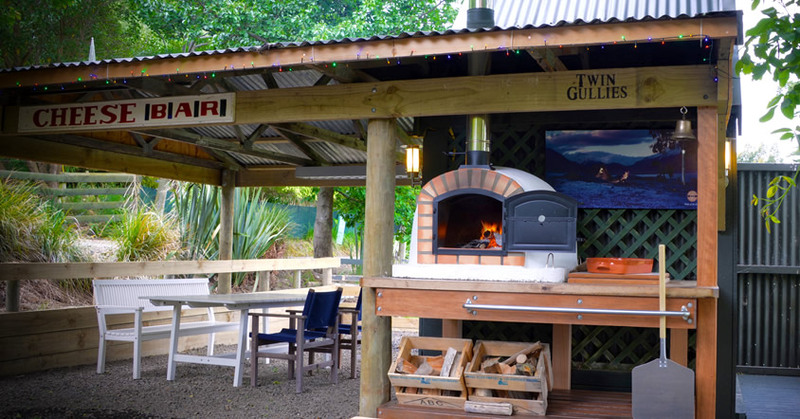 The Forno Braga wood fired pizza ovens are real brick ovens made in Portugal which is widely known for its superb clay qualities and craftsmanship. Portugal like other Mediterranean countries, has kept up the ancient tradition of woodfired cooking. They are handmade by Impexfire who have produced over 80,000 ovens since 1992. It is a perfect all rounder: it cooks anything you can cook in a conventional oven such as stews, roasts, chicken, fish, breads, pizza, cakes, you name it. 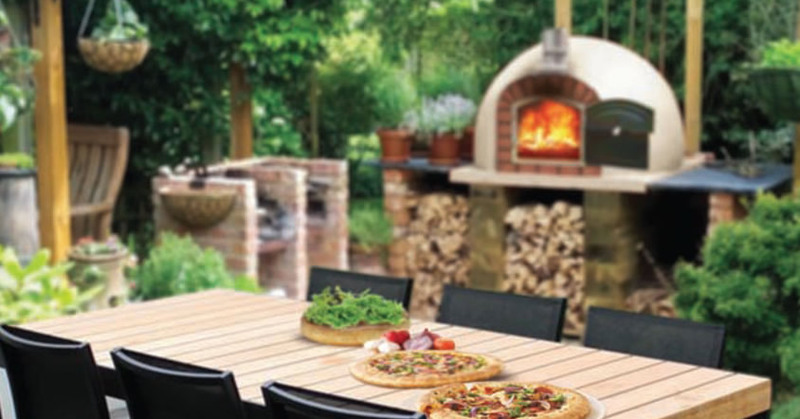 Whether you want to turn a simple family meal into something special, surprise your guests with an extraordinary meal cooked in your woodfired oven, or throw a pizza party for the kids - your Forno Braga woodfired oven does it all. These Ovens are 100% handmade using the oldest traditional Mediterranean methods allied with the latest finishing products. The design, construction and materials used allow these ovens to reach cooking temperatures of over 350°C in under an hour - under normal conditions, using quality wood. Specially made for Euro Woodfired Ovens with extra insulation, black door and stainless steel flue, your Forno Braga oven will keep heat for hours. The 37cm double doors allow you to better control the wood fire and thus the temperature inside the oven for the different kinds of cooking. See the manual that comes with your oven. The double door features a hole that is designed to fit a rotisserie for spit roasting (see accessories). When not used the hole is covered by a metal flap. In the back wall of the dome there is a protrusion for the spit. 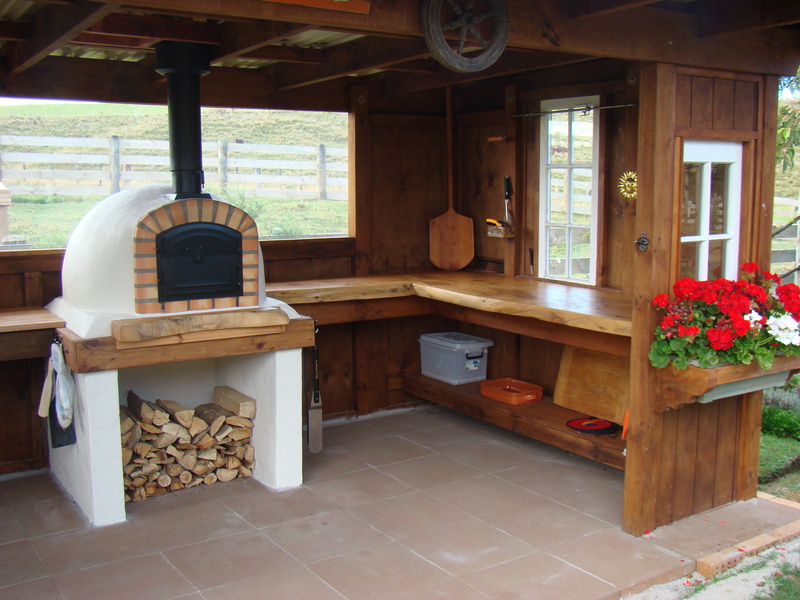 This oven is hand made from clay bricks on the inside, covered with mineral wool insulation, metal mesh, and refractory cement. The cooking floor of the oven is made from refractory tiles that are resistant to high temperatures. 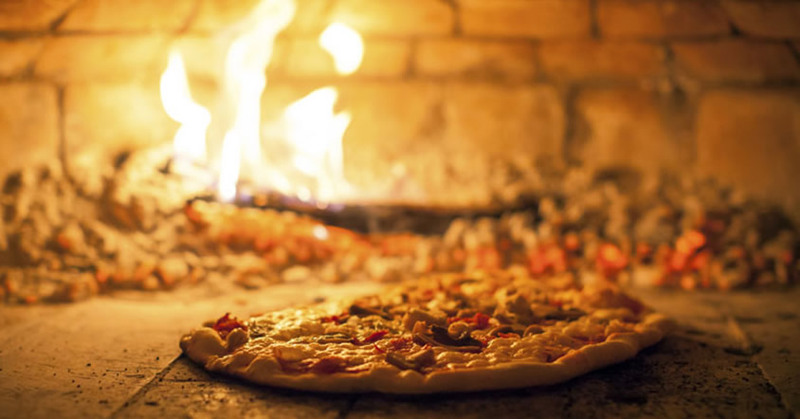 For the best results pizza and breads should be baked directly on the oven floor, as the heat retained in the refractory tiles is an important detail for the cooking process. 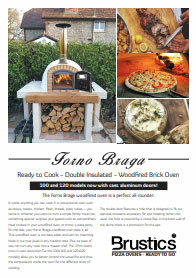 Forno Braga ovens are made of refractory clay bricks, fired in a wood fired tunnel oven at 900 to 1000C for 72 hours. Their composition allows them to absorb heat quickly and retain heat for long periods therefore saving fuel. During construction, the floor tiles are placed on vermiculite insulation and the bricks of the dome are reinforced with wire through each layer as they are built and covered in a special compound of refractory cement, reinforced further with wire mesh, then a 30mm layer of rock wool insulation is placed over the complete dome, fixed in place with more chicken mesh before a final 40mm coat of refractory cement. The base of Forno Braga wood fired ovens is in 7 cm thick reinforced concrete, with a steel loop on each corner for easy lifting. “Making up the pizzas is a family activity.. everyone gets to try each other’s recipe and it makes for a dinner where everyone is involved." “I love the Maximus Pizza oven. It has served me well for over a year and shows no signs of stopping. Cooked at around 400c pizzas are ready in 60 to 90 seconds and cook evenly top and bottom. This is a rare and major feat, particularly for such a small oven. You’ll only ever fit one pizza in at a time, but it will cook so fast that you’ll barely be able to keep up. For operating instructions on the Forno Braga Oven please click the link below. Our manufacturer has sold close to a hundred thousand of these ovens. The ovens they create are of the highest quality and produce amazing results. Over time they have perfected the art. Get your new Maximus or Forno Braga Woodfired oven shipped to your door fully assembled. This removes a lot of potential cost and work. Simply place your new oven in the desired spot and it is ready to cure and start cooking! You don't need to be a seasoned veteran to create mouth watering flavours with the Maximus or Forno Braga Woodfired ovens. Re-invigorate your cooking sessions and impress your dinner guests today. 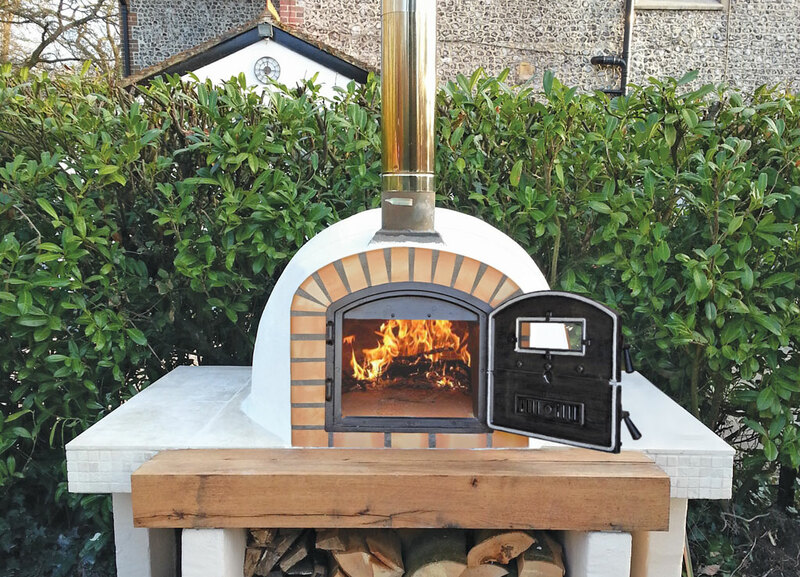 The Maximus Portable Woodfired oven is so popular because of its great taste and practical portability. It's easy to move around and place where you want, when you want. Don't be tied down by the 1/2 tonne weights of the other ovens on the market get a Maximus today.